"I have so many dreams for the near future to be able to see while traveling the world, seeing and cooking my fabulous foods, being an endurance runner/hiker and seeing my future grandchildren with whatever vision I have left.  Yet, I am so hopeful for a miracle treatment or a cure for Usher 1F." I am always proud to be who I am. “I would not let double disability affect and/or limit my ability to do many things on a daily basis — just do the best I can.” Also, I am proud to be deaf. I am living in a deaf culture where ASL (American Sign Language) is used as my first language. Communicating in ASL is beautiful! And because of that, life is beautiful! I was born Jewish with profound deafness and retina pigmentosa coupled with my poor balance. My childhood development was delayed, such as learning how to walk and acquiring language and was the same for my sister, Brooke, who is 3 ½ years younger. We both were born on Long Island, NY and my family moved to Manhattan in 1971. As far as I know, my family’s ancestors came from Russia, Poland, and Germany. From age 3 to 8 ½, I attended the Lexington School for the Deaf in Queens, NY, where oral was the primary means of communication. By early 1974, the oral method did not enhance my learning abilities. My parents realized that I required a “visually-oriented language” to help boost my education. So, in the fall of 1974, they decided to transfer me and my sister to St. Francis de Sales School for the Deaf (a Catholic school for the Deaf) where total-communication was used in the classroom. We were able to learn so much in just a few years. After graduating from the 8th grade in 1980, I returned to Lexington School for the Deaf for high school where ASL was permitted. Although, I had been taught how to speak with my hearing aids for a short period, I never felt comfortable wearing my hearing aids, and for many years I have not worn them. When I was four, I fell down and hit my forehead on one of my bedroom legs after running into my bedroom without lights on. It bled profusely and left me a permanent scar. When I was about 9, my parents discovered about my vision from our hearing babysitter who could sign. One day, she took us to a movie theatre and my sister and I grabbed her arms because we had trouble seeing in a dark setting. 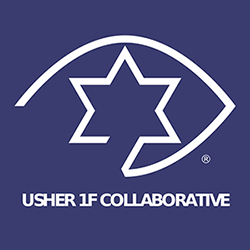 My parents then took us to many different eye doctors for opinions, and they confirmed that we have Usher Syndrome. The discovery devastated my parents as it was difficult for them to learn about our dual disability. Reflecting on my early childhood, I did notice that I did not see well in darkness or at night. When I told my parents about that, they told me I had “night-blindness.” When I was 16, my high school peers made fun of me by signing “Box and Concentrate,” and it became so annoying to me. I went to see the Dean of Student Affairs and I asked her about what that sign was all about. She explained that I had Usher Syndrome and said it is “a slow progression of blindness”. I was stunned, extremely upset and cried. I watched her making a TTY (text telephone) call to my mom from the school. My mom was panicked to learn that I learned the diagnosis, and she blamed the dean for telling me the truth! Of course, the dean was not aware of the fact that my parents kept it a secret. Thus, it became harder for me to accept for 6 years until I was in my senior year at Gallaudet University. I was taught by my sign language interpreter, who accommodated me during my travel to Israel for 5 weeks with NFTY group. She was furious at me for not being honest in understanding what she was interpreting in the dark area. She taught me to tell her what was the best for me to see her with an adequate lighting spot and for her to move around me. It was the same way for many of my friends for better communication. I am blessed that I have wonderful parents, my family, my friends and colleagues to support me as a better person as well as to increase my self-esteem. I graduated from Gallaudet University with a Bachelor of Science in Business Administration and a minor in Fashion Merchandising in 1989. I was employed at Saks Fifth Avenue for 2 years. Since 1982, I have been a full-time employee for the Federal Railroad Administration, Office of the Railroad Safety in Washington, DC. I am married to a wonderful deaf Jewish sighted husband, Scott, with 2 sighted hearing sons who are now enrolled at the University of Maryland. Naturally, my sons do communicate in ASL with me as their first language since their birth. During my last year at Gallaudet University, my ophthalmologist said that the degree of my vision was ok for me to drive at that time, and my parents gave me a brand new car to drive in the DC area and part of Maryland. I had 4 car accidents in less than a year in 1989. My parents and I agreed I had to give up driving in 1990. I accepted my limitation with the help of fully public transportation in the metro DC area. I am approaching the half century in age. Truthfully, my vision was good before my pregnancy. I have lost some peripheral vision after having 2 babies. I have so many dreams for the near future to be able to see while traveling the world, seeing and cooking my fabulous foods, being an endurance runner/hiker and seeing my future grandchildren with whatever vision I have left. Yet, I am so hopeful for a miracle treatment or a cure for Usher 1F.